I saw this discount voucher for 25% off. If you live in the UK or Ireland you can print it out and take it with you when you’re going to visit a New Look store and if you happen to live somewhere else, like me, you can just use the online discountcode. 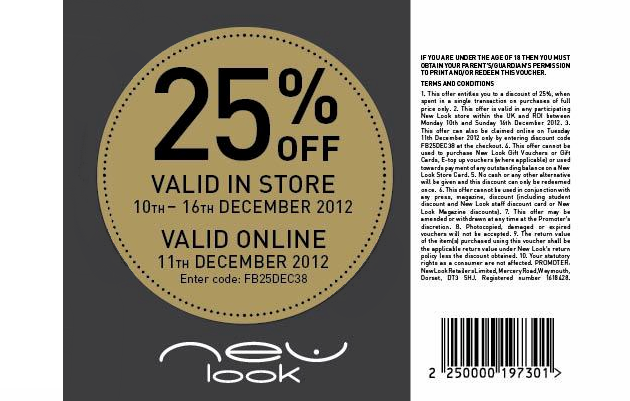 The online code is FB25DEC38 and is only valid at the 11th December!